Spring and Company Limited were engaged by One Medical Group to act as Project Managers and Contract Administrators for the new build two storey medical centre in Middlesbrough which was delivered both on time and on budget! 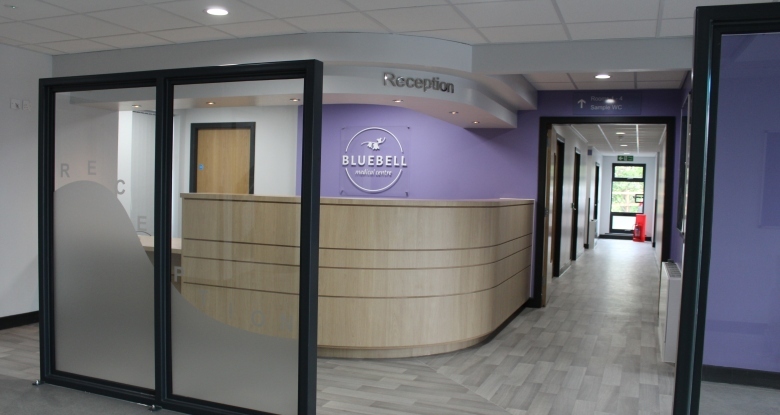 The aim of the project was to provide a brand new facility, meeting all the latest clinical standards for the local practices to relocate into. Working in conjunction with QAD Architects and Tolent Construction, the new medical centre was successfully opened in May 2017 and within the challenging programme aspiration of 32 weeks via a JCT Design and Build procurement route. With challenging site constraints consisting of an adjacent beck, underground drainage culvert, close adjoining properties and local community playgrounds there were many challenges which were overcame to allow the Practice to open to the public on the desired date.